Springtime is coming fast – and with the warmer temperatures you can sit outside longer in a T-shirt. 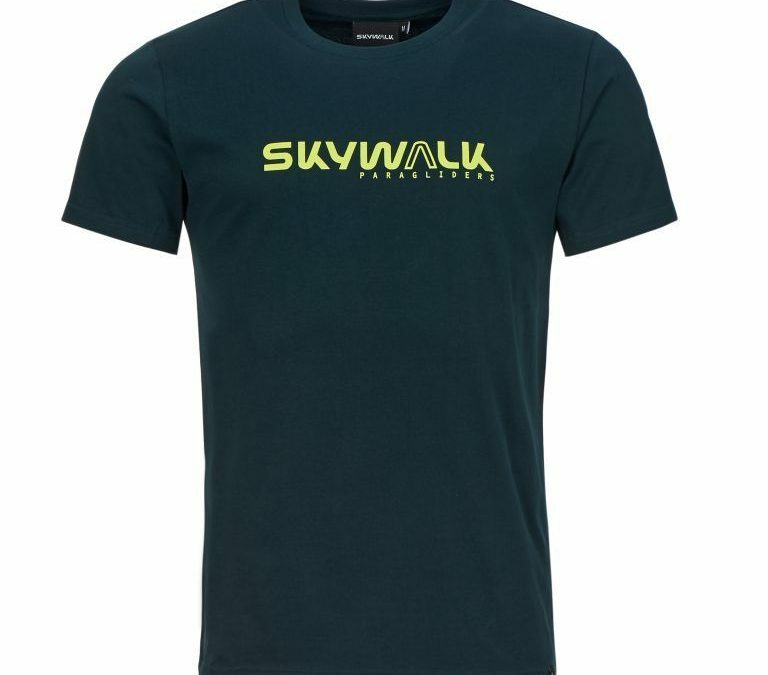 Our most popular team shirt is available immediately in the stylish color “petrol”. And naturally we have a glider that matches the shirt. “Petrol” is also the newest glider color available in skywalk’s program – for example, for the CHILI4. It’s available from the skywalk Online Shop and from all skywalk dealers.